“A makerspace is a place where students can gather to create, invent, tinker, explore and discover using a variety of tools and materials.” – Diana Rendina. “A makerspace is a physical location where people gather to share resources and knowledge, work on projects, network, and build.” – 7 things about you should know about Makerspaces. “Makerspaces in the School Library” by Jackie Child and Megan Daley is a great place to start if needing to justify the whole concept of makerspaces in your school library within an Australian context. One reason offered for why kids need makerspaces both in the aforementioned slideshare and the blogpost “Why Makerspaces Give Kids Space to Fail and Why That’s a Good Thing” is the idea of failure and its importance in teaching kids the value of perseverance and learning from their mistakes. Other reasons, for me, include the chance for creativity, for collaboration, for problem-solving and just the chance to be busy, productively, without the need for technology. Including a Makerspace in our school library has been in my library planning for over a year now. The whole concept seemed logical, especially when it was decided that Year 7s would be starting high school from 2015 onwards. Our students, when asked, were interested in the idea of doing craft in the library and Lego building is something that has been offered in primary libraries over the years. We tested the waters in a very small way in 2014, with a jigsaw puzzle and games area, not really sure how that would go. 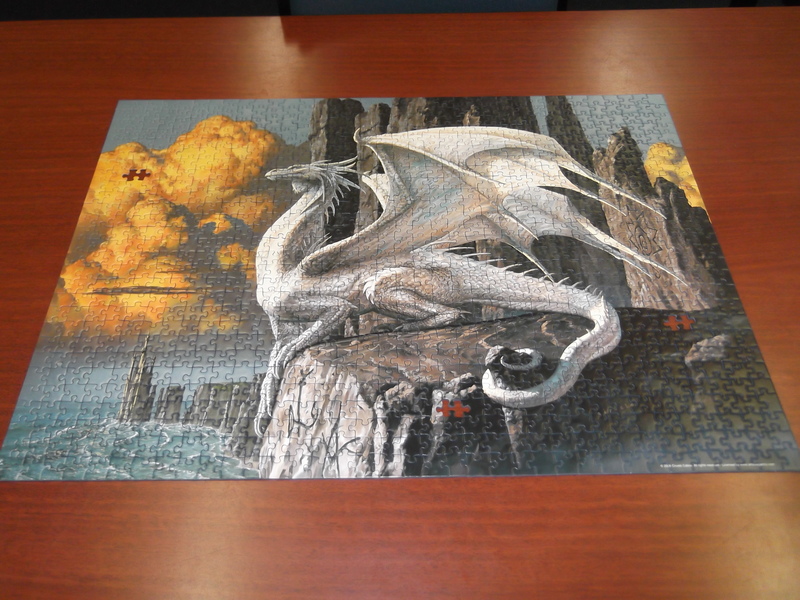 It was a huge success despite the odd missing jigsaw pieces and cards. One of the most interesting outcomes was the friendships that developed across year groups around the puzzles. The card games tend to be played within friendship groups but chess is another game which draws in contestants in different year groups who share a passion for the game. 2015 has been a total whirlwind journey so far but in the back of my mind the extension of the library makerspace began to take shape. In May this year I attended our West Australian School Library Association (WASLA) “Birds of a Feather” PD and had an inspiring Makerspaces workshop with Jennifer Lightfoot whose Thinkers and Tinkers LibGuide will give you an idea of the her makerspace at Scotch College Junior Middle school library. Then I read the Daring Librarian’s post Makerspace Starter Kit which really got me thinking about our maker-space in a time when I had recently been asked to think about my “vision” for the school library in terms of its physical layout, shelving and furnishings. Now I just need to put the plan into action and make the space a reality. Any other useful Makerspaces sites or blogs that you know about? I would love some feedback! 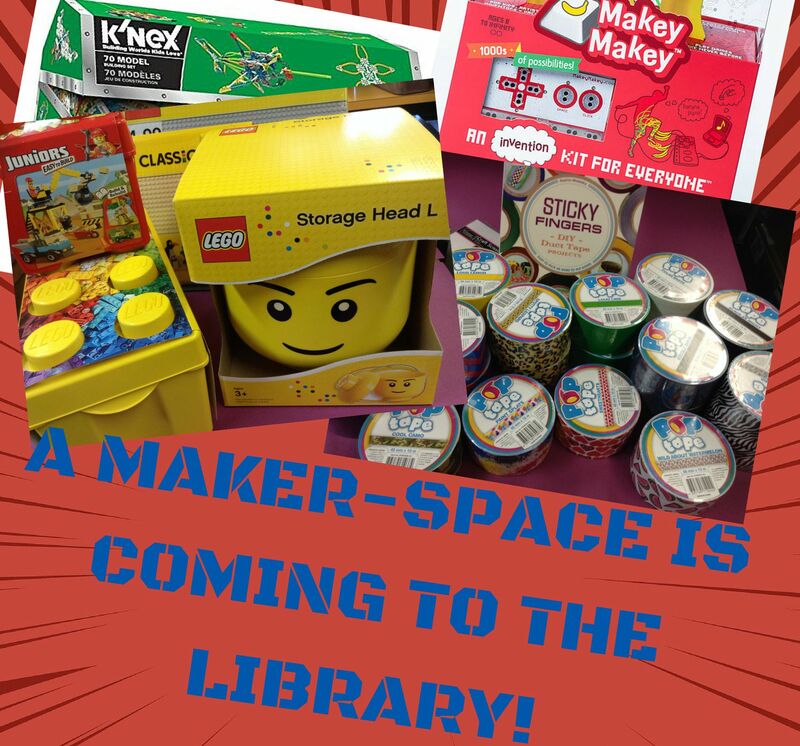 Stay tuned to Phase 2 of our Makerspace beginnings …. Thanks for these great resources! I’m looking forward to starting one this year. So happy to help with resources. It’s great to share! Another makerspace thing that I did was book art. I cut pages out of books and had them draw on top of the illustrations or words with sharpies and crayons. I cut out pages and trimmed them into a square for origami. I will have to try the book art. Sounds really good! 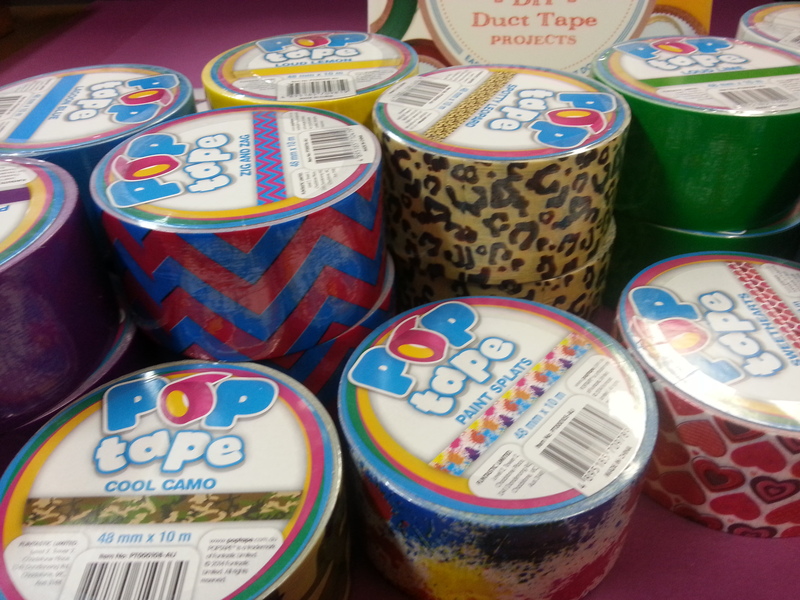 Pingback: Sticky Fingers – Library Makerspace Beginnings | Love to read, love to learn!